Transform your bathroom into a luxurious wet room with a walk-in shower enclosure. 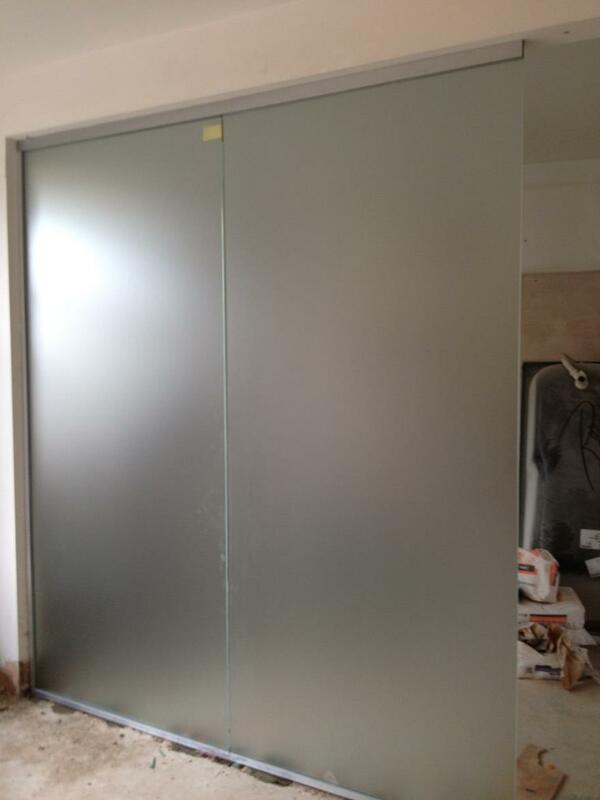 Our glass shower screens can be custom made to fit any size of bathroom, large or small. Nothing compares to the feeling you get showering in a large, light and spacious shower enclosure. Once you try it you'll never go back to a traditional shower cubicle! 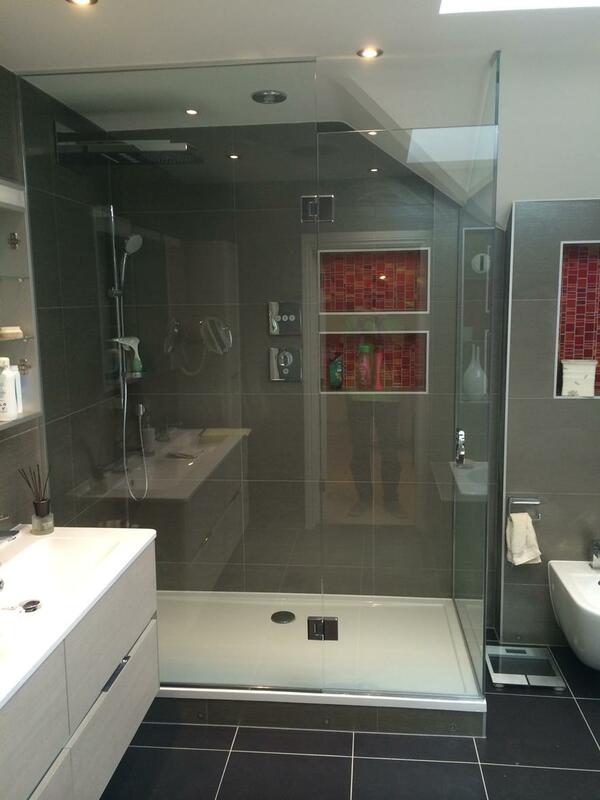 We are Kent's leading suppliers of glass shower screens and painted glass shower wall panels. We serve the whole of London and the South East, call us today to start your wet room transformation. Our team of specialist installers will help you create your perfect bathroom. Showers are no longer confined to a 1 meter square cubicle, or the space above your bathtub. You can now acheive a luxury shower compartment in even the smallest of awkward spaces. 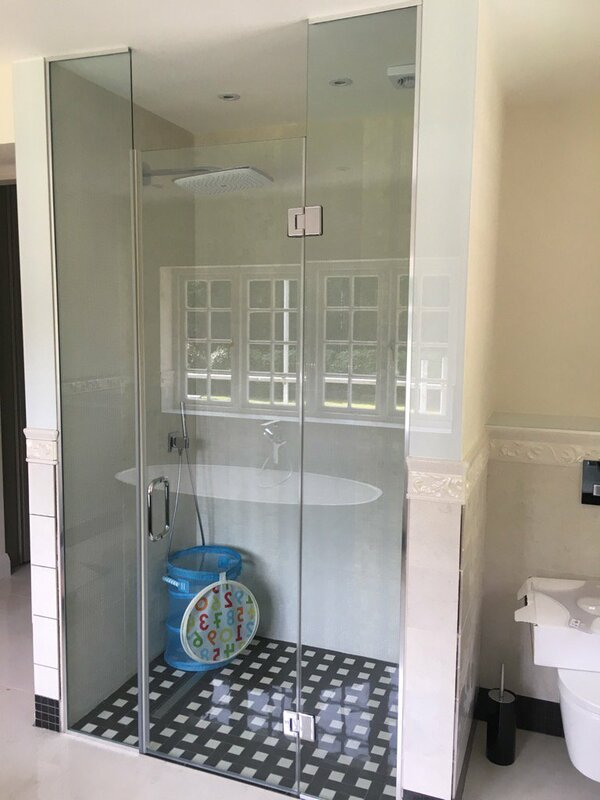 Because your shower enclosure will be custom made to your exact specifications, you can transform your bathroom, shower room or wetroom. Maybe you have an unused corner of the room, or an angled ceiling, or you just want to let more light flow through your bathroom and show off unique features such as wooden beams or original brickwork. 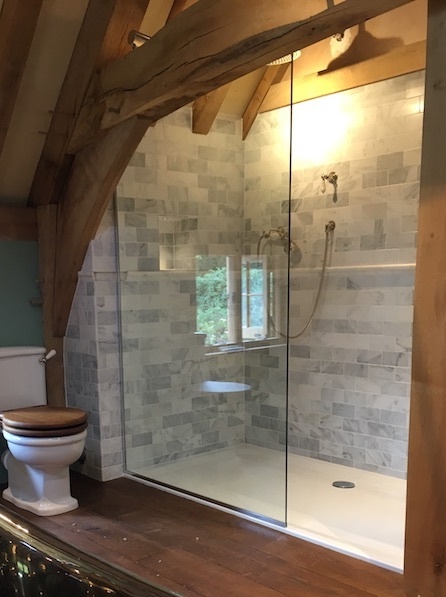 Glass shower screens are perfect for creating a versatile space because they are frameless, and can go from floor to ceiling, giving you a flawless finish in your new bathroom. A wet room shower screen creates a separate area without blocking out light. A walk in shower is the ideal solution for elderly people and people with accessibility needs. Rather than having to climb over the edge of a bathtub, you can simply walk straight in to your shower. You can configure a walk in shower exactly how you want it. You decide if you want to include glass shower doors, or perhaps include a drying area to the side of the main shower area. Wet rooms are growing in popularity all the time as people discover their many benefits. 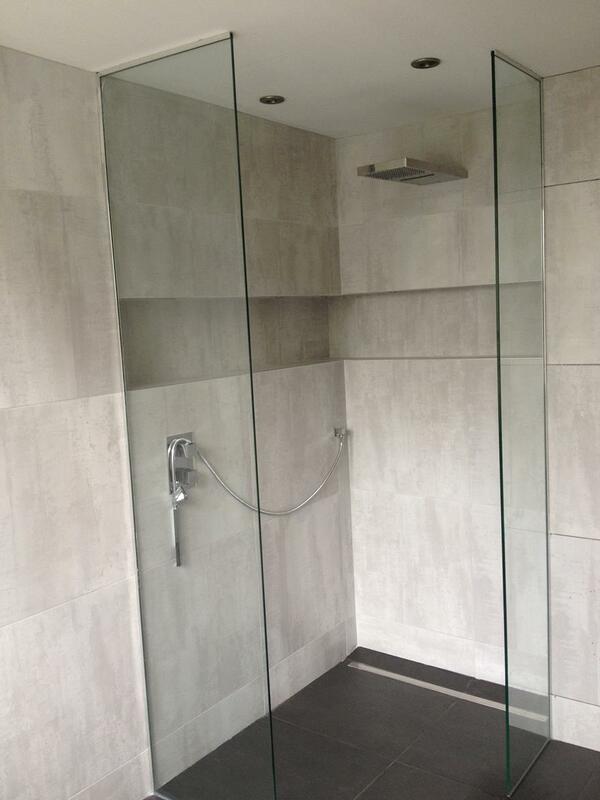 A modern walk in shower enclosure can add thousands of pounds to the value of your property. Shower enclosures and trays are available in a wide variety of shapes and sizes. Why not call us today to chat through some of your options. We offer a fully bespoke service at a great price. 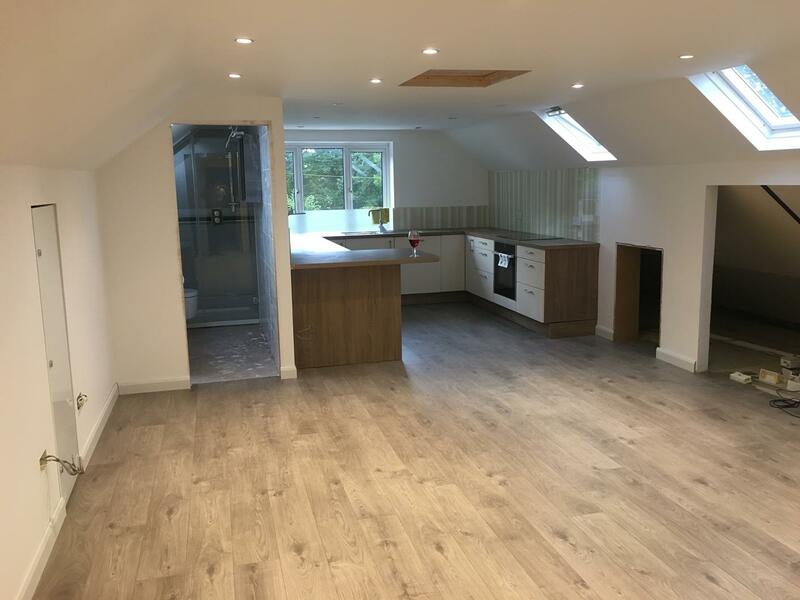 Everything will be taken care of, from making a site visit and offering you various set ups and furniture options, to our full installation service. All our glass has a 10 year guarantee! 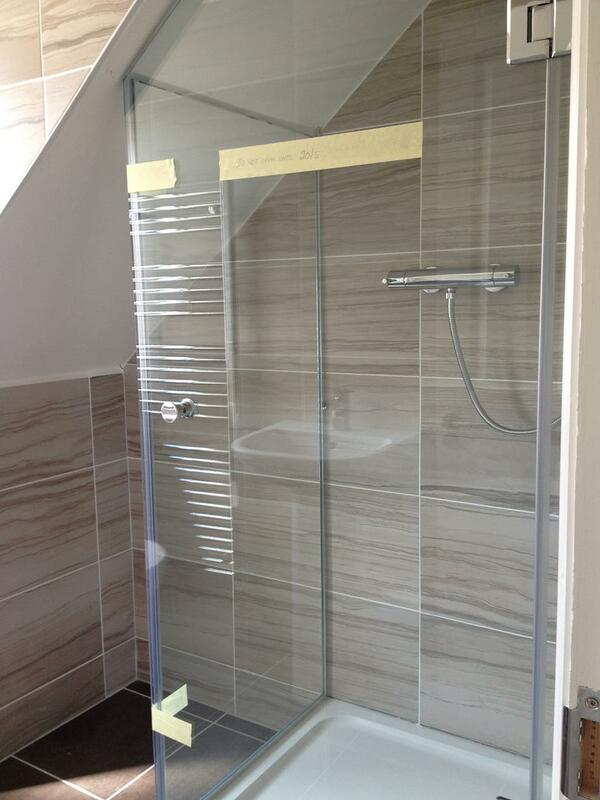 Shower screens will be a minimum of 10mm clear toughened glass (to BS6262 standard) with a minimal architectural frame. Call our specialist team who have over 50 years experience. We offer a full install service to fit any awkward shaped spaces and an easy clean application can be applied if required. 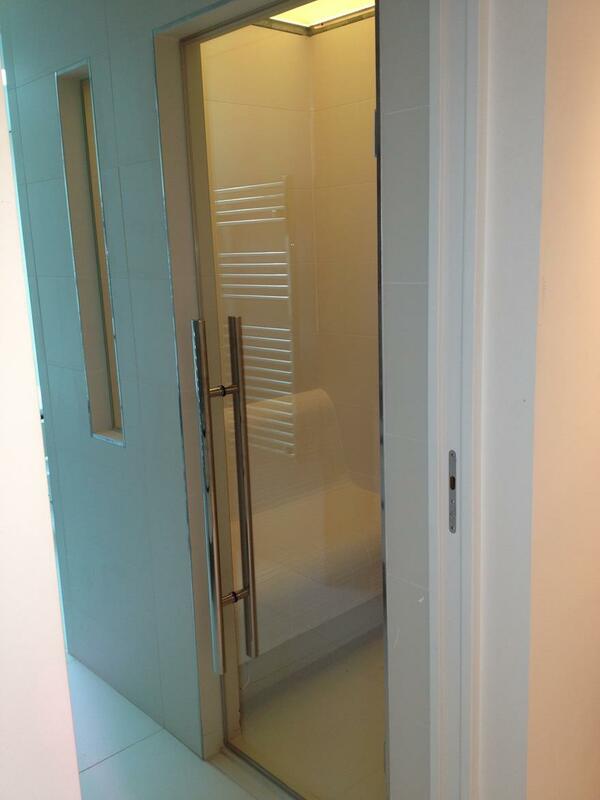 For more information about our glass shower enclosure range, please contact the Bespoke Glass Splashbacks team today. 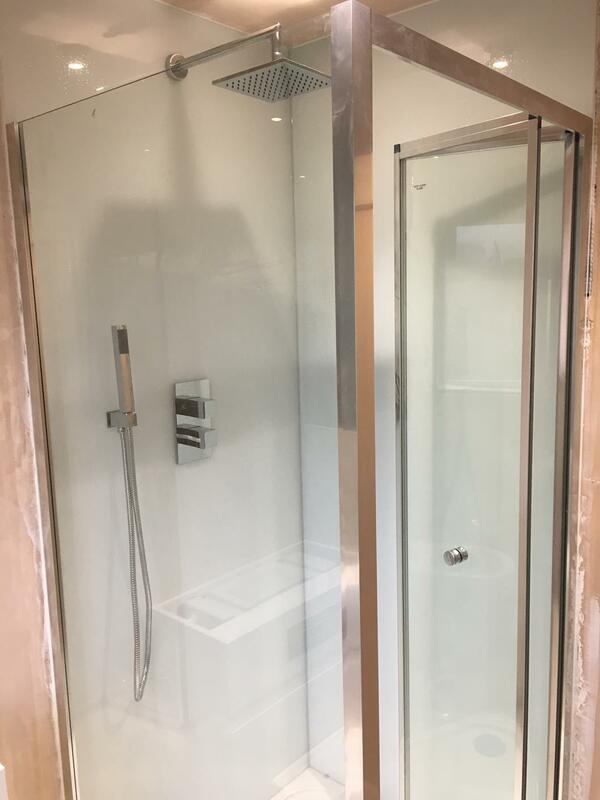 Whether you have a walk in shower enclosure, or a traditional shower cubicle or an over-bath shower, our shower wall panels give you a hygenic, easy to clean and personalised finish. Much like our glass bathroom splashbacks, glass shower wall panels can be custom painted (on the rear surface) in any colour you request. We have over 60,000 standard colours available and can match your shower wall panels to an exact RAL, Crown, Duluxe or pantone colour. Or if you prefer, we can digitally print any photo, design or pattern onto your shower panels. 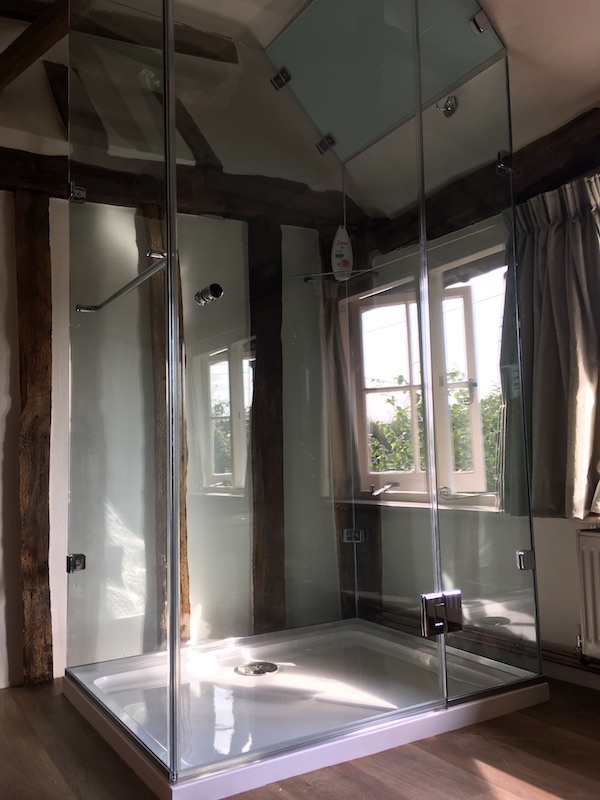 "Would just like to say a big thank you, our shower looks great cannot believe how easy it is to keep clean"
"We are extremely happy with the finished product and will have no hesitation in recommending you to our friends." 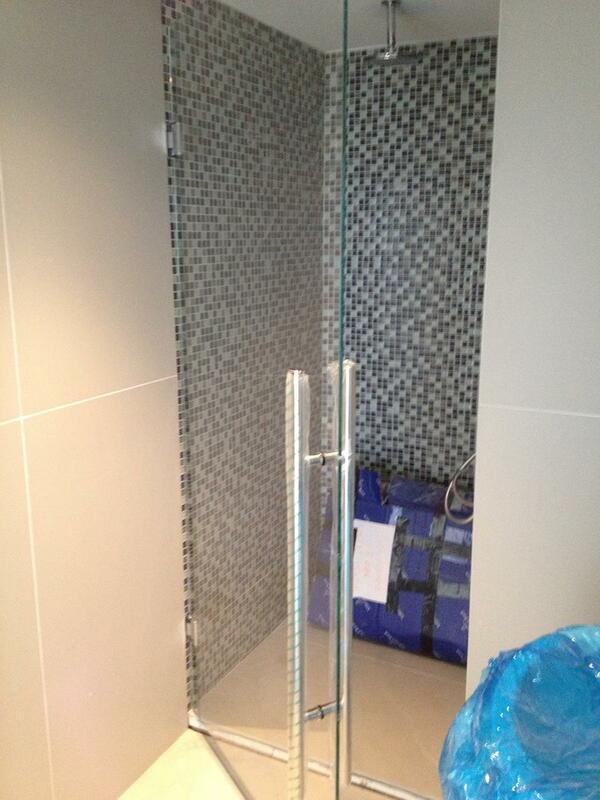 Click on the image below to see more examples of our glass shower enclosures.